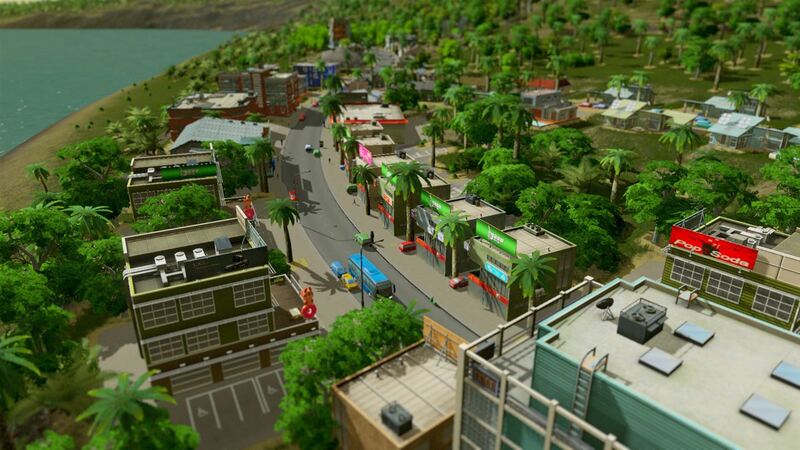 City building simulation games actually aren’t a new thing on consoles - the SNES had a couple of Sim City games and the Tropico series has been rolling along just fine for two generations now – but we haven’t really seen a console city sim quite as ambitious as Cities: Skylines up to this point. With a stunning amount of depth and complexity and detailed graphics with an incredible sense of scale, Cities: Skylines is an absolute monster of a city building sim that may have been too much for widdle baby console peasants (says the “PC Master Race”) to appreciate. So how does the first console version, Cities: Skylines - Xbox One Edition actually play? Pretty freaking great, actually. Continue reading for all of the details in our full Cities: Skylines - Xbox One Edition review. 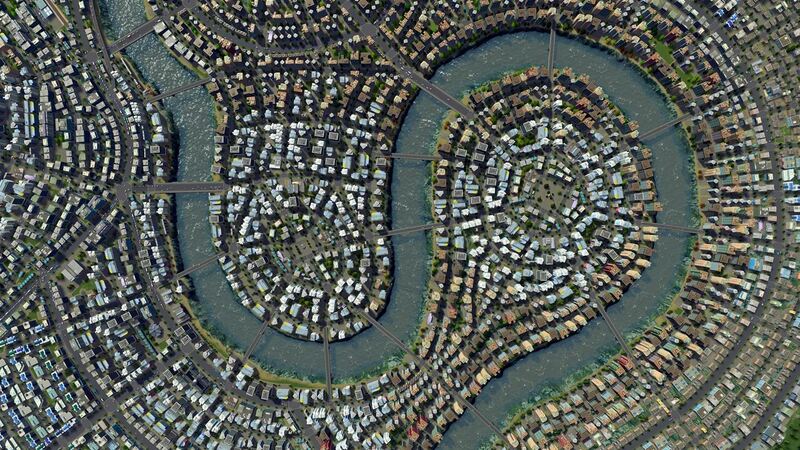 Cities: Skylines is a deep and complex city building simulation where you have to plan out every aspect of your city. You aren’t simply plopping down blocks of buildings and slapping roads between them, either. 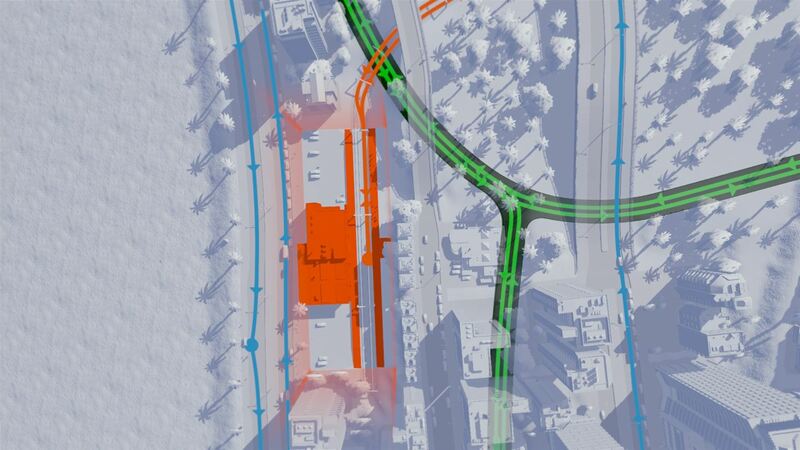 You have to lay out drinking water and sewer pipes, place power lines, and actually think about traffic congestion and build a clever road system that keeps not only your citizens but commercial and industrial traffic flowing smoothly. 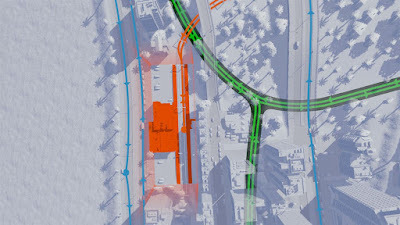 Learning to plan out infrastructure and play properly gives Cities: Skylines a pretty steep learning curve, especially for console players where this might be your first city sim in a while, so your first couple or cities are probably going to be utter failures, but it’s worth it. 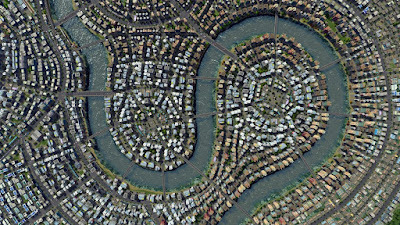 After your infrastructure is in place you then lay out your city in residential, commercial, and industrial districts of varying density. Houses and factories and stores will then start popping up in each zone as people move to your new city and your roads will fill with traffic. Soon you’ll have to start considering hospitals and police stations and other vital things every city needs. Building and maintaining a city requires money, of course, so how will you fund it all? Take loans from the bank? Raise taxes? All of these options and more are available to you as you build your city from a single road with 0 people up to a massive metropolis with tens of thousands. It is simply an incredibly satisfying and fun experience once you really dig into the nitty gritty of it all. The Xbox One Edition of Cities: Skylines obviously had to make some changes to the controls and menus to work properly with a controller instead of a mouse and keyboard and it all works very well. Moving the camera with the analog stick, selecting different building pieces with the d-pad, and placing them on your map all works incredibly well with a controller. You can also bring up a menu with the Y button that has all of your deeper options, stats, and other info you need. Cities: Skylines – Xbox One Edition plays as well, probably better, as any other city sim to come to consoles before it. Something else that I really love about Cities: Skylines – Xbox One Edition is that it has built in cheats right in the menu to help you get to the fun stuff as fast as possible. Normally when you play you start with low-density districts and only simple infrastructure options and the better stuff unlocks as the population of your city grows. Likewise, as mentioned above, you normally have to have a budget and worry about making money as you play. By selecting a couple of options in the menu you’ll immediately have unlimited cash and access to everything the game offers with no fuss, and that’s awesome. Using these cheats does turn off the ability to earn Xbox Achievements, but that’s no big deal. I do have a couple of complaints, too, unfortunately. The biggest of which is that there are no fast-forward options to pass time more quickly. This means that each new city you start grows at an absolute snail’s pace for the first solid hour or so, which isn’t exactly fun and exciting. The game also has some performance issues that become more prominent as your city grows. It doesn’t ever get to slideshow levels of slowdown, but it is certainly noticeable. The fact that the game does have some slowdown on Xbox One isn’t exactly a surprise, though, especially considering how good the game looks and how great the sense of scale is. You can pull the camera all the way out to see your whole city from the sky or zoom all the way in on an individual house and see people walking around on the street. The buildings and everything in your city is surprisingly detailed and look really great. The game also has a nice lighting system, as it comes with the After Dark expansion built in, and seeing your city all lit up at night is pretty impressive. Sound-wise the game isn’t anything to shout about, but I do like how the sound effects of the city change based on how zoomed in or out you are. Once you wrap your head around it and overcome the learning curve of laying out infrastructure, Cities: Skylines – Xbox One Edition is one of the most accessible and best playing city building sims to ever appear on a console. It is just an incredibly satisfying experience and the fact the game gives you the freedom to build and play however you want – thanks to some handy options in the menu – really shows a lot of thought went into this port to make it as good as possible for console players. 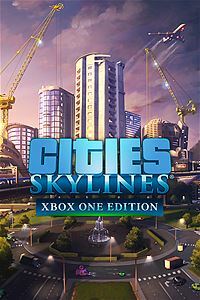 If you love city building sims and don’t care to play them on PC, or want to experience one for the first time, Cities: Skylines – Xbox One Edition is a great choice. It is admittedly pretty expensive at $40, but the great replay value and hundreds of potential gameplay hours make it more than worth it. Buy it.